When hundreds of lights appear across the sea during Artimé’s first annual masquerade ball, the party is over. Artimé is under attack, and Alex, the magical world’s young mage, must prove he can handle his newfound leadership. Alex receives no help from Aaron, his scheming twin brother. Instead of rallying Quill to help defend their island, Aaron disappears and happens upon a dangerous secret hidden in the jungle—one with the potential to give him the power he desperately desires. Even in the midst of battle Alex hasn’t forgotten his promise to rescue his new friend Sky’s mother from the volatile Pirates Island, a rocky volcano that randomly spits fire and sinks beneath the ocean’s surface with little warning. Once the rescue team is on the way, friendships are tested and the stakes are high. Ultimately the team discovers there are more creatures than they ever imagined in the waters surrounding their island chain—and not all of them are friendly. 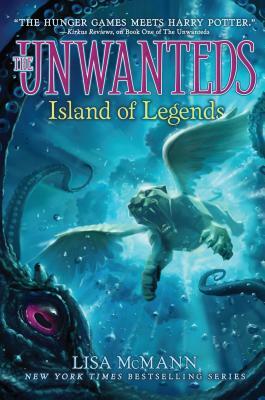 Adventure, danger, legendary creatures, exotic beasts, and the most unusual island so far rise up to challenge Alex and his friends from Artimé in this thrilling continuation of Lisa McMann’s The Unwanted series.